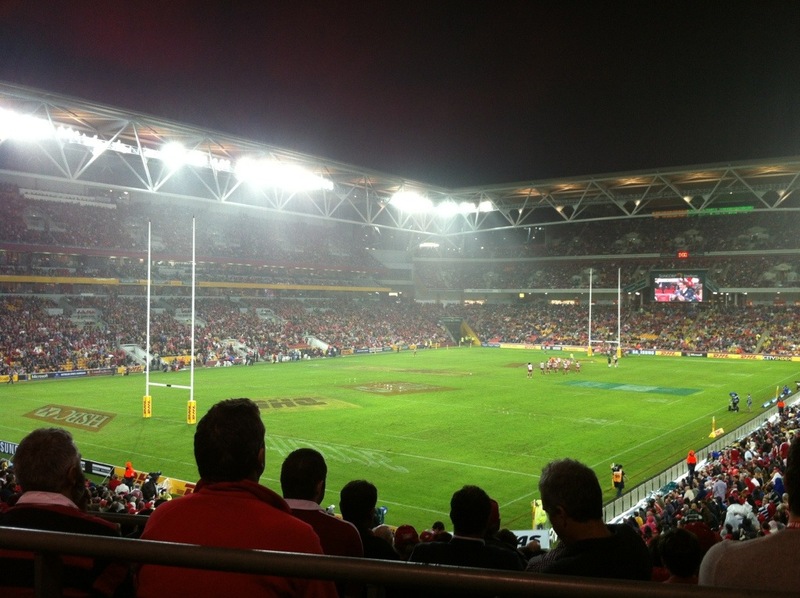 Tonight the Queensland Reds hosted the British and Irish Lions at Suncorp Stadium. The Lions are put together from the best of the 5 nations and they haven’t toured here for 12 years. It’s a special occasion that tens of thousands make an effort to come watch. 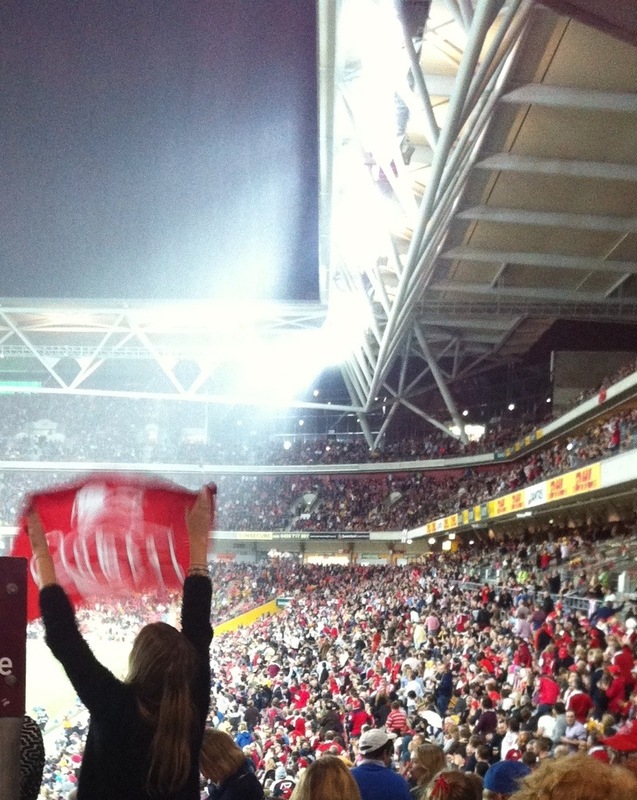 Tonight the stadium was a sell out. There was also a lot to prove for the Reds players with a great chance to impress for Wallabies selection – assuming the kiwi coach of the Wallabies likes you of course. Unfortunately, the weather closed down the opportunity for consistent running rugby – with constant drizzle, the tactics sent the ball up and under more often than not and the handling mistakes increased from both sides. 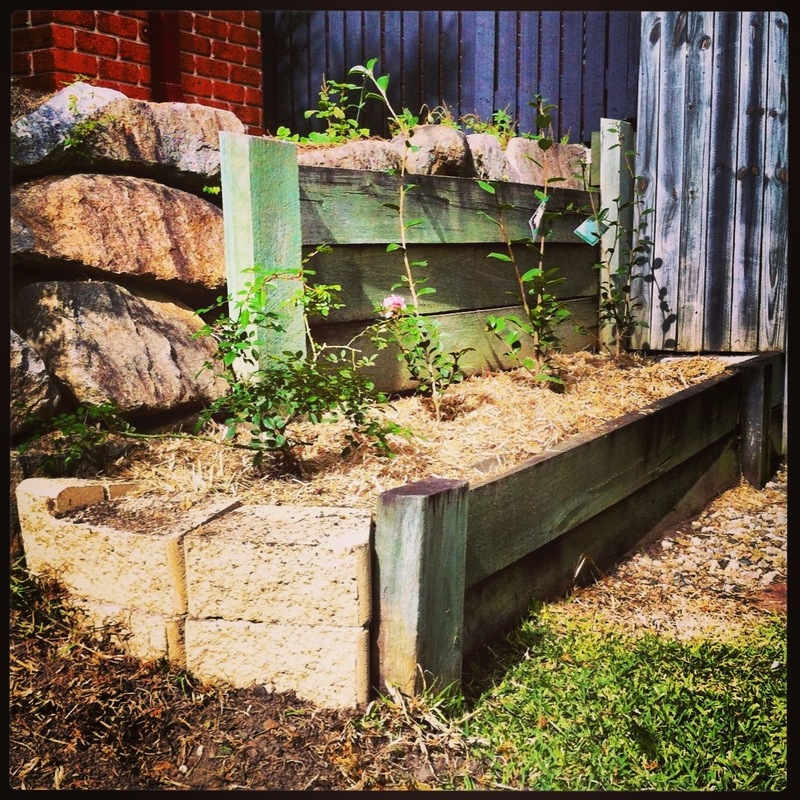 I had a nice couple of hours this morning setting up this little side garden. Three different camellias and a ground cover rose called Purple Rain. Lovely.